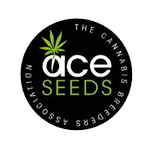 Ace Seeds - Tikal. Free US delivery. Tikal is a sativa hybrid with Central American genetics, originating from the jungles of Guatemala.Its happy and stimulant effect is reminiscent of the best old Mexican sativas.